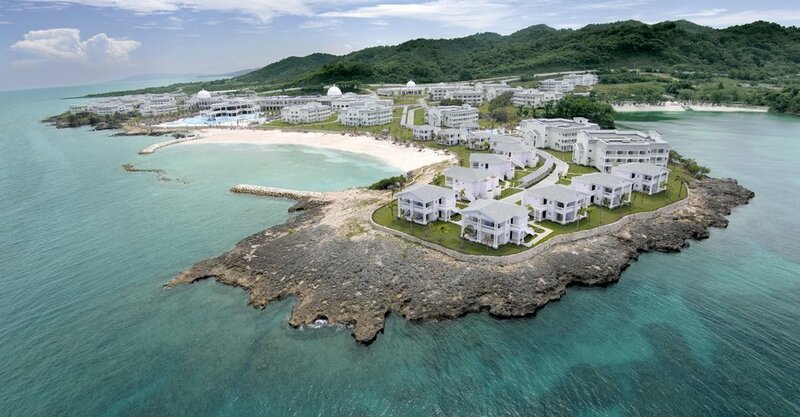 The all-inclusiveGrand Palladium Lady Hamilton Resort & Spa is located on the beach in Montego Bay, Jamaica. The resort has a spa, casino and large pool with swim-up bar, plus an adults-only pool. Guests staying at the Grand Palladium Lady Hamilton Resort & Spa are able to use facilities at the Grand Palladium Jamaica Resort & Spa, located in the same complex. Make yourself at home in one of the 540 air-conditioned rooms featuring iPod docking stations and minibars. Your bed comes with down comforters, and all rooms are furnished with sofa beds. Rooms have private balconies. Wireless Internet access (surcharge) keeps you connected, and satellite programming is available for your entertainment. Private bathrooms with separate bathtubs and showers feature jetted bathtubs and complimentary toiletries. Pamper yourself with a visit to the spa, which offers massages, body treatments, and facials. After a day at the private beach, you can enjoy other recreational amenities including a nightclub and outdoor tennis courts. Additional amenities include complimentary wireless Internet access, concierge services, and an arcade/game room. Grab a bite to eat at one of the resort’s dining establishments, which include seven a la carte restaurants and three buffets. There are thirteen bars in the resort complex.